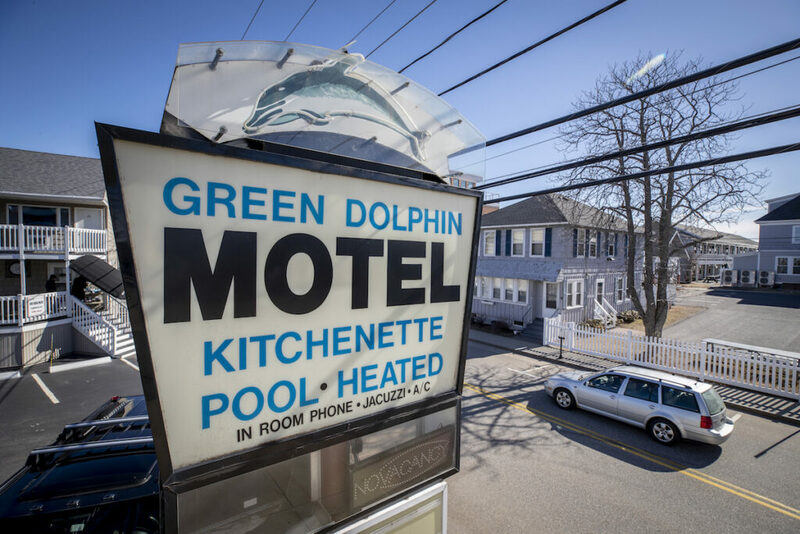 Scrupulously maintained and thoroughly updated, the 25-unit Green Dolphin sits in the heart of town, a two-minute stroll to the beach. 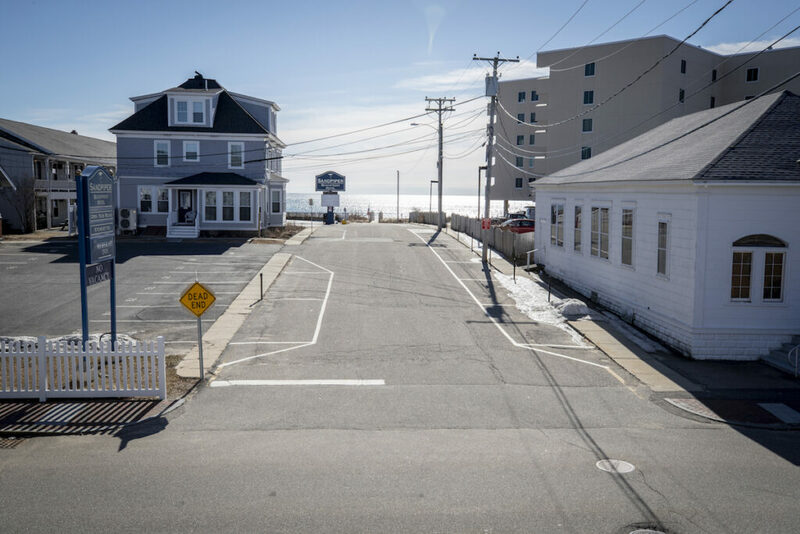 OLD ORCHARD BEACH – “It’s as turn-key as it gets,” KRE Brokerage Group broker Danielle Lape says, pointing out some of the Green Dolphin Motel’s new features: Roof, paving, siding, decks, railings, renovated pool; plumbing, electrical, security system; signage, awnings, and new interior finishes. 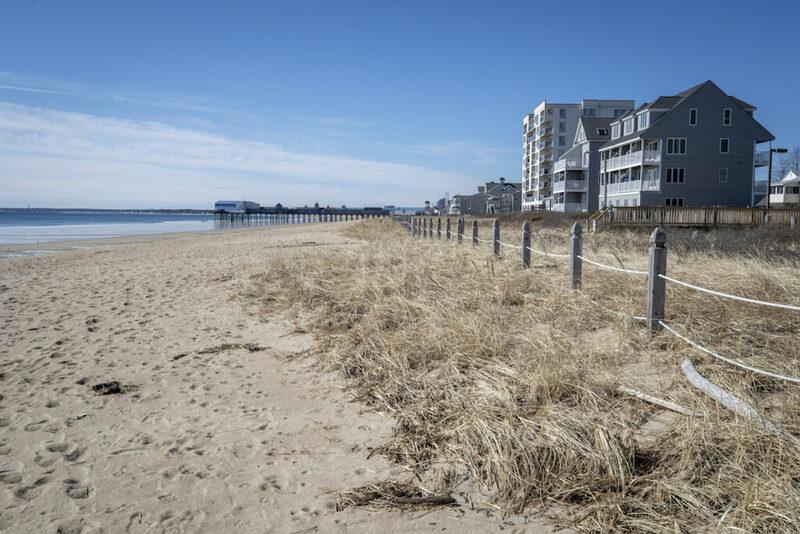 The blue ocean gleams, the sandy beach beckons a two-minute walk away, and everything about the two-building complex is in top, ready-for-the season condition. 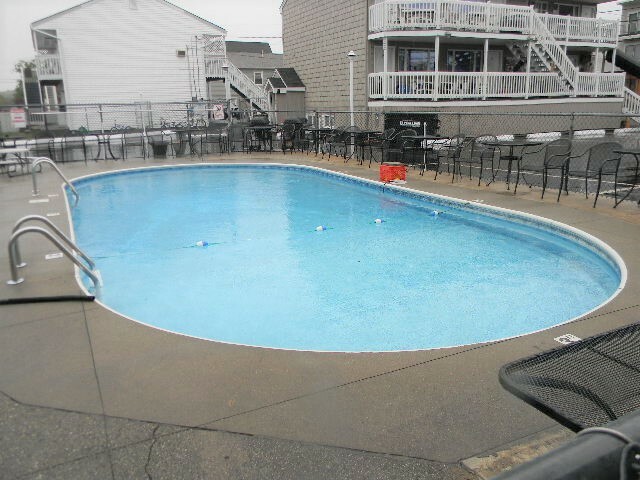 That’s both outside, by the inground pool and the two hot tubs and outdoor showers, and inside: Scrupulous maintenance and regular updating by the longtime owner have earned an “Excellent” rating on Trip Advisor. Reviewers praise the 25 rooms’ cleanliness, and the facility enjoys many return visitors. 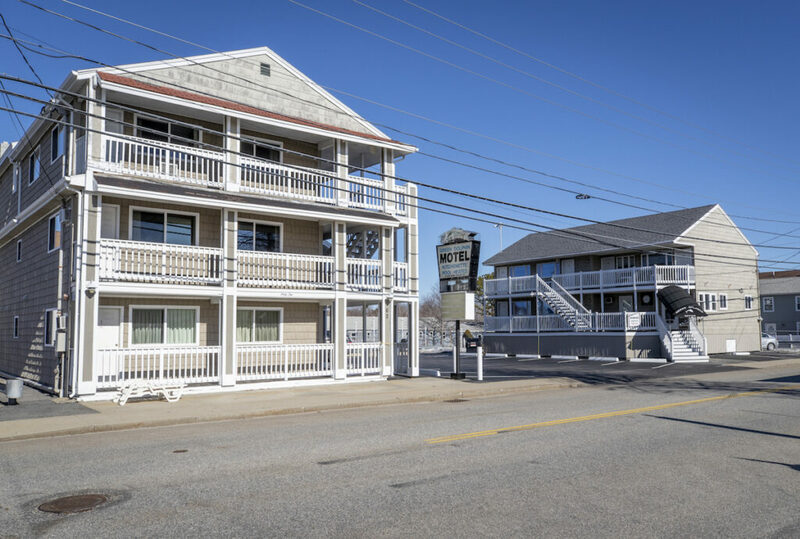 The motel is ideal for an investor, or an owner/occupant, whose well-appointed, three-bedroom, one-plus-bath top-level quarters (private deck, granite counters, jetted tub, hardwood flooring) is essentially a good-sized house. The units, which include three cool jacuzzi suites, are fully equipped and furnished. Most have kitchenettes; some have ocean views. 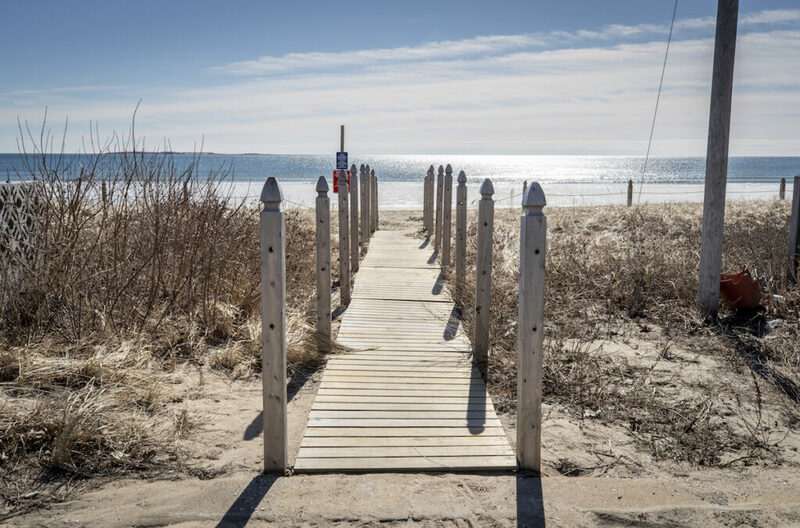 The location is not only steps from the beach, but also a walkable third of a mile from the Pier and the town center – handy to activity when you like, but far away enough that it’s not a nuisance. There are 58 restaurants within 3/4 mile, notes TripAdvisor, making this a popular destination year after year. The Green Dolphin is listed at $2.6 million. 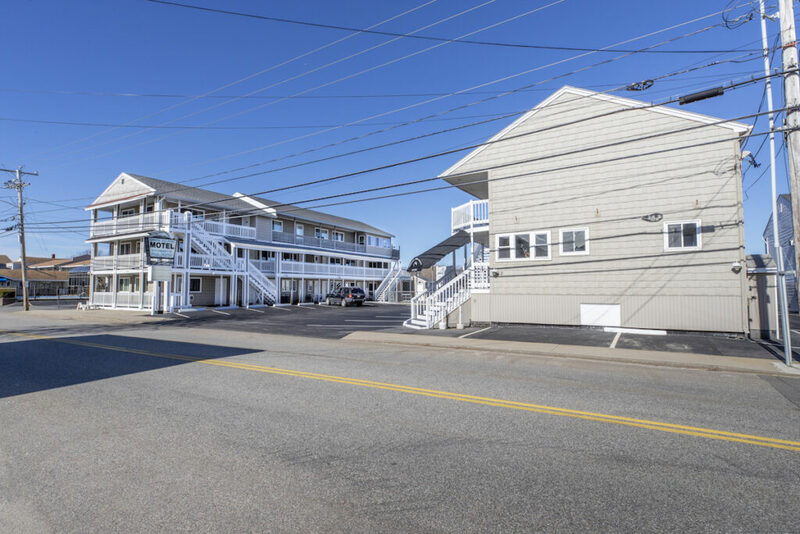 Its sister motel – the nearby 12-unit Sir Charles (same seller, same quality) – is also available. The properties may be purchased together for $3,575,000. The Green Dolphin and the Sir Charles, at 62 East Grand Ave. and 90 East Grand Ave. respectively, are listed by Danielle Lape and Frank Hennings of KRE Brokerage Group. Contact Danielle at 207-730-2476; 207-934-7622 ext. 114, or [email protected]; or Frank, 207-671-9985; 207-781-2958 ext. 127; or [email protected].